Surprise! Because we're going to be in royal wedding mode tomorrow, I'm bringing you an early (and supersized!) 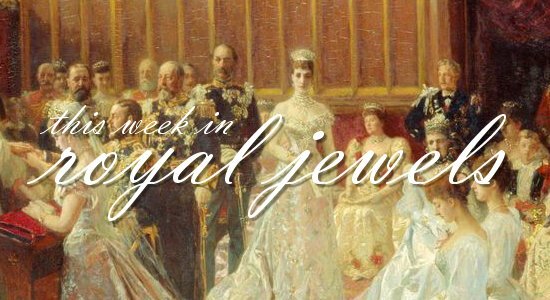 version of our weekly royal jewel roundup today. Don't forget to vote for your favorites in the poll below! 19. 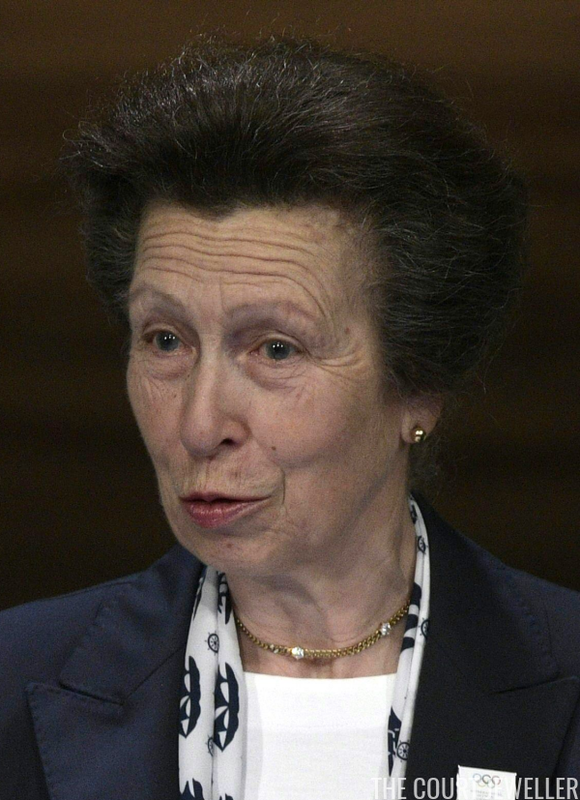 The Princess Royal was in Buenos Aires on Tuesday, wearing gold and diamonds as she addressed the 133rd International Olympic Committee session. 18. Queen Letizia of Spain chose a trendy pair of geometric climber earrings to welcome President Pinera of Chile to Zarzuela Palace in Madrid on Tuesday. 17. 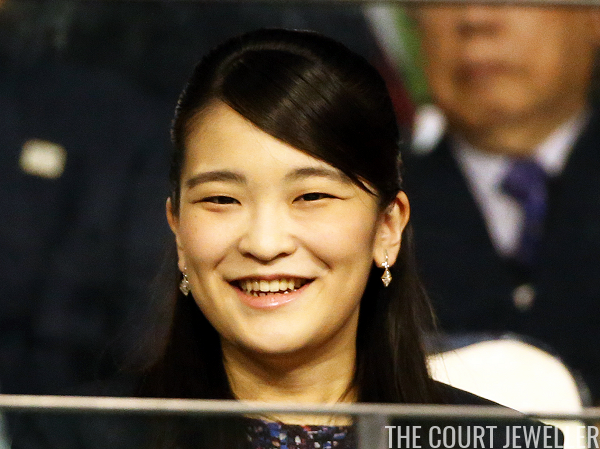 For Saturday's the Rakuten Open in Chofu, Princess Mako of Akishino wore a delicate pair of earrings with metallic drops. 16. On Wednesday, the Countess of Wessex wore pink drop earrings, a delicate bracelet, and a necklace with a leaf pendant for a meeting with the President of Lithuania in Vilnius. 15. 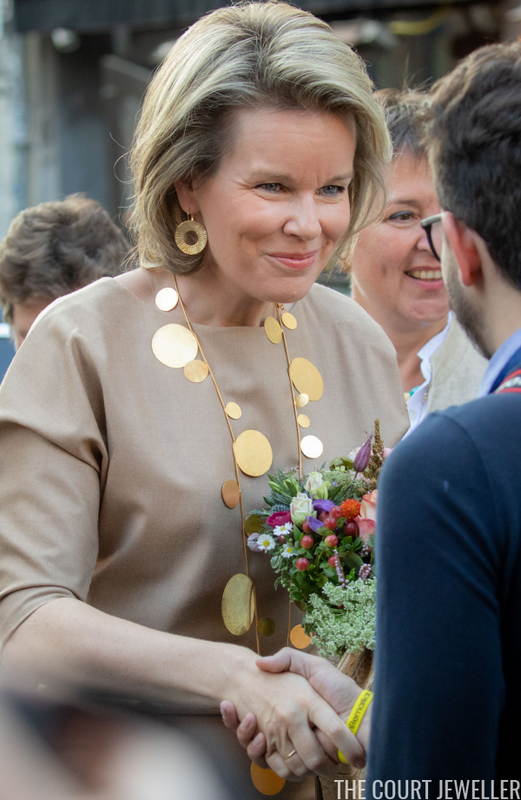 Queen Mathilde of the Belgians wore her signature golden jewelry for the Global Girls Summit by Plan International in Brussels on Wednesday. 14. Diamond studs were Princess Charlene of Monaco's singular bejeweled accessory for a rugby match in Montpellier, France on Sunday. 13. 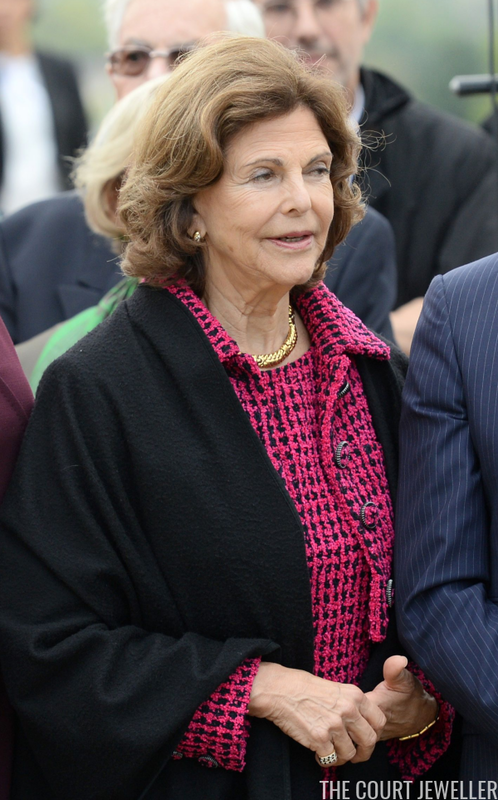 To celebrate the bicentennial of the Bernadotte dynasty's reign in Sweden, Queen Silvia wore gold jewelry and stacked rings for a visit to the family's original French home, Pau, on Monday. 12. 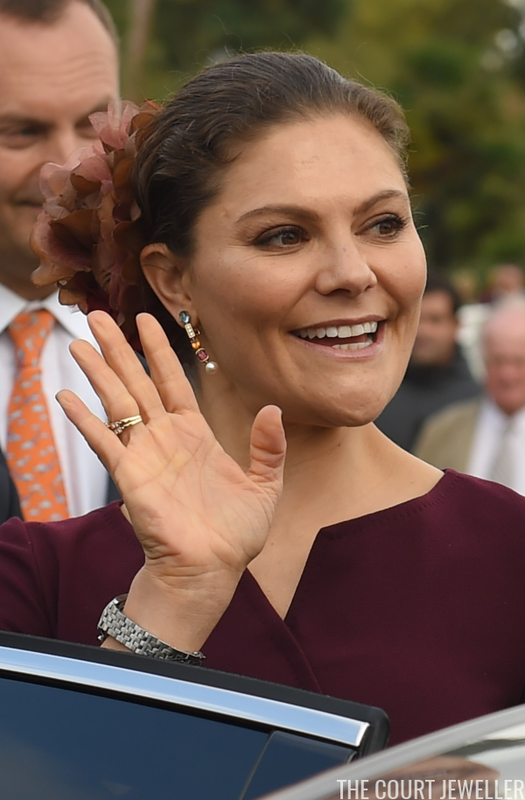 For Monday's visit to Pau, Crown Princess Victoria of Sweden wore an exuberant pair of earrings set with multi-colored gems and pearl drops. 11. The Duchess of Cambridge dazzled in a pair of earrings (and a dress) by Erdem as she attended the opening of the new Photography Centre at the Victoria and Albert Museum in London on Wednesday. 10. Crown Princess Masako of Japan wore a lovely suite of pearls as she waved to well-wishers on arrival at Oita Airport on Saturday. 9. 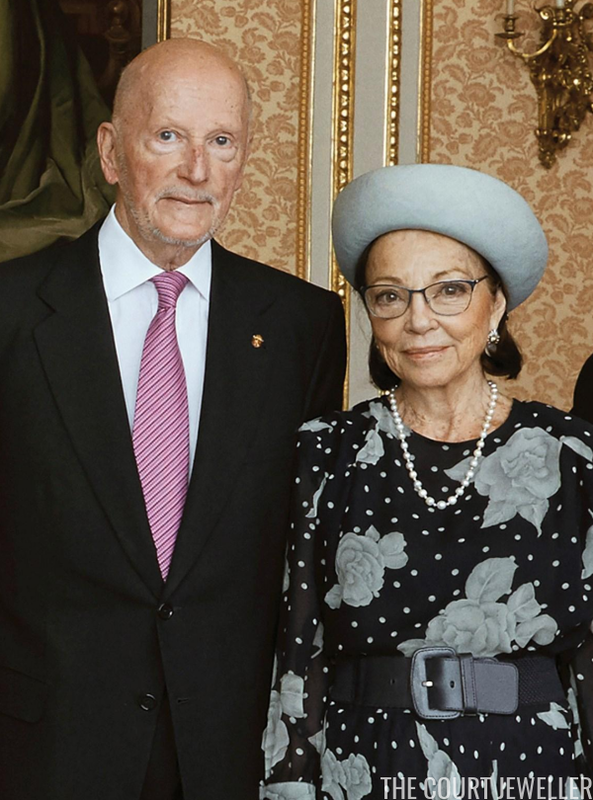 Tessa of Bavaria, a daughter of Prince José Eugenio of Bavaria, Infante of Spain, wore a gorgeous diamond floral brooch on Saturday for the wedding of Fernando Fitz-James Stuart (the future Duke of Alba) and Sofia Palazuelo at Liria Palace in Madrid. 8. 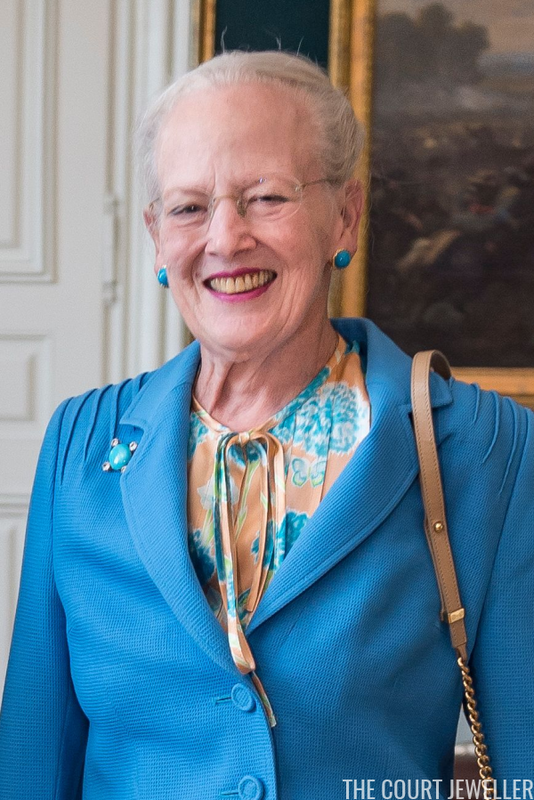 For Saturday's Fitz James-Stuart wedding in Madrid, Princess Anne of Bourbon-Two Sicilies, Dowager Duchess of Calabria wore a suite of silvery pearls. 7. Also at Saturday's wedding in Madrid were the heads of the former royal family of Bulgaria. 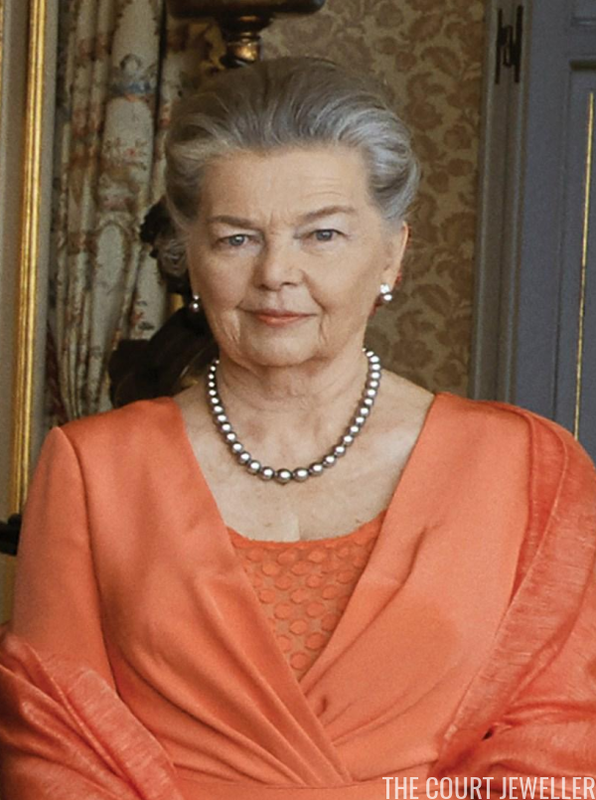 Margarita, who was born into a Spanish noble family as Margarita Gómez-Acebo y Cejuela, wore classic pearls for the occasion. 6. 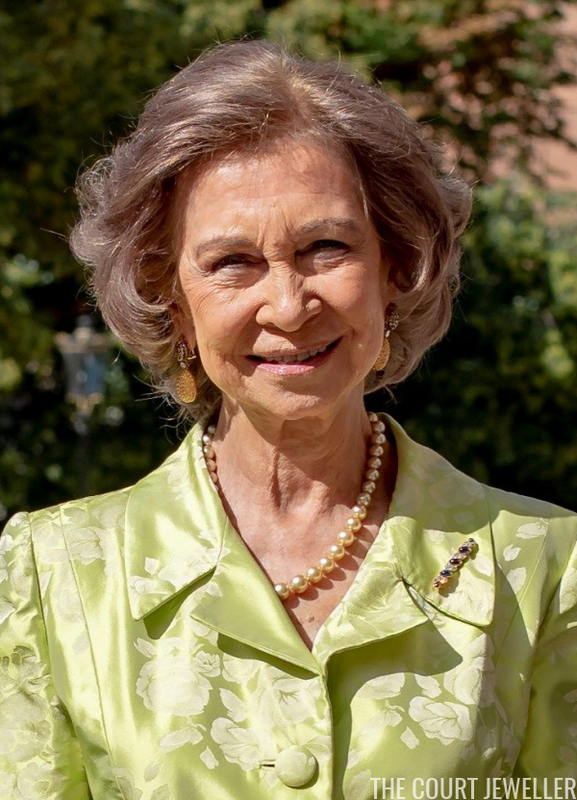 Queen Sofia of Spain represented the royal family at Saturday's wedding, wearing pearls and a delicate bar brooch. 5. 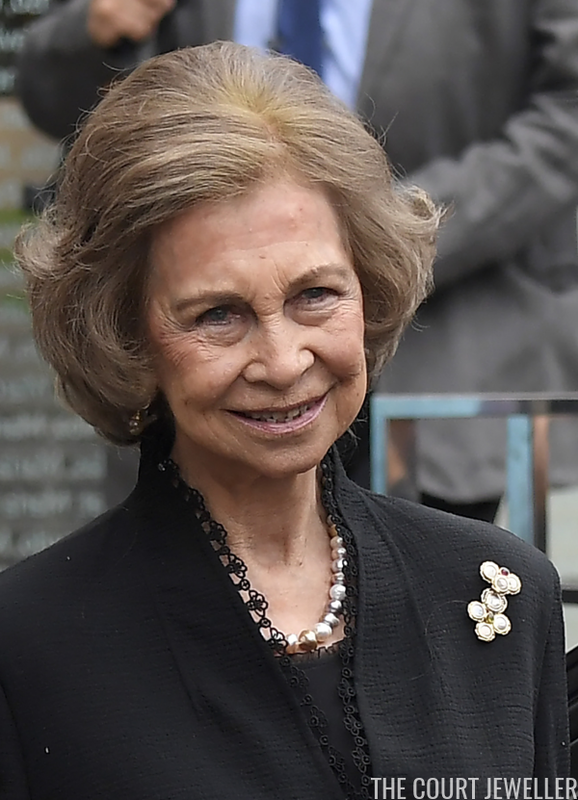 Queen Sofia wore multi-colored pearls and a modern brooch to represent the royal family at the funeral of Spanish opera singer Montserrat Caballe in Barcelona on Monday. 3. Gray and gold pearls, including the family's lovely gray pearl and diamond brooch, accompanied Queen Maxima of the Netherlands on a visit to Bernkastel-Kues, Germany on Wednesday. 2. Queen Letizia dazzled in her diamond wedding earrings during Friday's official visit to Paris. 1. My top vote of the week goes to the dramatic, glittering diamonds and emeralds worn by Queen Maxima as she celebrated the 20th anniversary of the Leidsche Rijn area in Utrecht on Friday.